Hey there, welcome to design-birdy.com Today we would like to share with you an article with the step by step instructions about crocheting the circle sling bag that you can see on the photos. 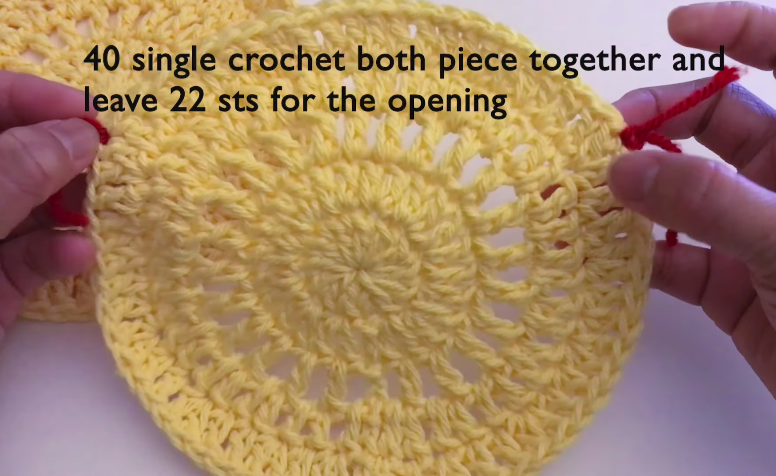 It is very easy to crochet and trust me if you give it a try you are going to have a very joyful time. There is video tutorial that includes the written pattern and there is a pattern without the video tutorial, so I think that you are not going to face any kind of a problem or misunderstanding, while working on this project. Round 3: chain 3, skip 1st sts, *1 dc next sts, chain 1*, repeat * to * until last sts. slip sts at 2nd chain. 2: chain 2, 12 dc, 2 dc next sts, 2 dc next sts, 4 dc in chain 2 space, 2 dc next sts, 2 dc next sts, 12 dc.